I don't read a ton of science fiction, but my general impression of Turning Point by Lisanne Norman is that it is "classic" SF. 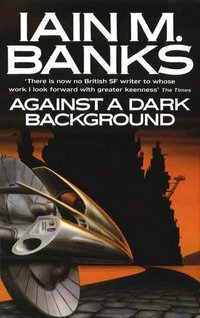 It's not hard SF, certainly, but more along the lines of an adventure SF novel. The ton of the book, and the general flavor of the writing, is also more "classic" in nature, reminding me heavily of my days reading Andre Norton. This is not much of a surprise because it was published in 1993, so it is 17 years old. In any case, the book was a little rough to read. I believe this is Lisanne's debut novel, so you expect a little roughness. The beginning of the book took some getting used to, with the style and the writing itself. There were parts that weren't smooth and there were issues with the emotional states and reactions of the characters. I had a few spots of confusion (especially with the prologue) and in some cases felt that the characters weren't reacting quite right. I kept going and I'm glad that I did, because many of these issues smoothed out as the book progressed. By the end of the novel, I could see that the author was settling into the world and the characters and that there would be some good things to come in future novels. The issues started smoothing out once the main relationship between Kusac and Carrie was established and the true alienness of Kusac was revealed. And this is the main point of the novel, this idea that these two are telepathically linked, permanently, whether they like it or not. The rest of the novel is a standard SF action/adventure: they need to get to a transmitter to warn their respective worlds that an alien race has taken over the human colony on the planet and (more or less) enslaved the humans, while the Sholan (the race Kusac is from) scout party simply wants to warn them that this new violent race exists so they can protect their own portion of space. I ranked this one a little lower simply because of the issues with the writing being rough at the beginning, and some of my problems with the unevenness of the characters. I did enjoy the novel enough to want to go on with the series and see what happens with this odd, forced pairing between Kusac and Carrie, and that is truly the intent of this first book--to set up that relationship. I can see great potential for interesting stories in the universe that has been established with this novel, and would recommend that those who enjoy SF start with this novel and keep reading, even if it does seem rough at the beginning.